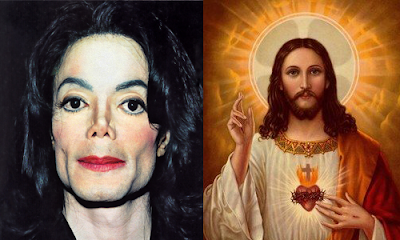 » Opinion » Is Michael Jackson the Most Famous Person And Not Jesus? Is Michael Jackson the Most Famous Person And Not Jesus? A January 27, 2009, column in Vanity Fair by Dee Dee Myers proclaims that U.S. President Barack Obama is the "most famous living person in the history of the world." Written at perhaps the absolute peak of Obama's popularity, just after his inauguration, Myers puts Obama ahead of such luminaries as the late Princess Diana or former president Bill Clinton. Even the legendary boxer Muhammad Ali can't match Obama's star power, according to Myers. With all apologies to Myers and Obama, the president's celebrity status may never equal that of Michael Jackson, who died June 25 at the age of 50. Jackson, after all, was a performer for 40 years; Obama himself is only 47 years old. The "King of Pop" has had decades to spread his influence around the world to generations of people, while Obama has really only been in the international consciousness for about two years. Let me put it this way: The only person more recognized than the "King of Pop" would have to be Christ himself. According to www.adherents.com, Christianity is the world's largest religion with about 2.1 billion followers, or one-third of the Earth's human population. The world's 1.5 billion Muslims also recognize Jesus in their holy scripture, the Quran, and surely some of the 1.1 billion non-religious people have at least heard of Christ. That's a pretty decent fan base. Second to Jesus, however, would have to be Jackson. No other person has crossed cultural and physical boundaries like he has. Jackson was the first international pop star to perform in post-Soviet Russia, for example. In a June 26 article on www.CNN.com, one Russian recalled that "For Russians, America was like another planet and Michael Jackson was the king of that planet ... (He) was seen as the face of the crazy American life." Sony, Jackson's music label, estimates that "The King of Pop" has sold about 750 million albums worldwide. Elvis Presley's official Web site, www.elvis.com, claims that the other "king" has sold more than 1 billion albums. Many people might argue that Presley is perhaps the most well-known person to ever live, or at least the most famous entertainer in the history of the world. Both Jackson and Presley have legions of die-hard fans and even followers who have made careers out of being Elvis or MJ impersonators. Presley, however has been dead for 32 years and never had the benefit of MTV, the Internet or the 24-hour news cycle of the new millennium. As a major Elvis fan, even I have to grudgingly admit that the "King of Rock ‘n' Roll" may no longer be more well-known than Jackson, especially with Jackson's recent passing. As of this writing, Jackson occupied 39 spots on Apple's iTunes Top 100 song downloads and 21 of the top 100 album downloads. Jackson also hogged 14 of the top 25 best-selling music items on www.amazon.com. England's Times Online reported that the 750,000 tickets to Jackson's 50 planned "This Is It" concerts at London's O2 Arena sold at a rate of 11 per second, or about 40,000 per hour. Even though Jackson had not performed in years, fans were falling over themselves to see "The King of Pop." I can't imagine any other band or artist that could garner that much attention. If people didn't somehow know of Jackson's musical accomplishments, they certainly saw Jackson as at least a curiosity. For example, he paraded his children around the world as he and the kids all wore surgical masks to hide from the cameras. Jackson, who as a boy was obviously black, somehow became white over the years and drastically changed his facial appearance, too. And perhaps his most famous moments of the past decade, unfortunately, were when Jackson was accused of child molestation and the trial that followed. If nothing else, Jackson was just plain weird to many people, which may have only added to his fame, albeit as a punch line. If you still don't think Michael Jackson is the second-most famous person to ever walk the Earth, look no further than YouTube. The Web site features a video of hundreds of Philippine prison detainees dancing in unison to Jackson's "Thriller." The video has more than 27 million views. I can't imagine Obama or anyone else being remembered in such a way in any third-world country, let alone in a prison. I'm sure some of my dear readers might disagree that Jesus is the most famous person to ever live, or even that Jackson is second to Jesus in terms of celebrity. In time, perhaps Obama may surpass Jackson, but surely not Jesus. In that case, I ask you: Who is the most famous person to ever live? Where does Michael Jackson rank? I'm eagerly awaiting your response to this "Thriller" of a column. Title : Is Michael Jackson the Most Famous Person And Not Jesus? 0 Response to "Is Michael Jackson the Most Famous Person And Not Jesus? "